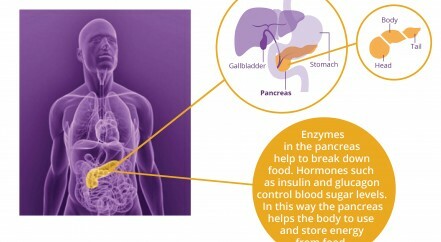 Receiving a diagnosis of pancreatic cancer can be a stressful and confusing time. We have listened to patients, relatives and carers to understand what key information is needed along the patient journey. As a result we provide award winning, easy to understand patient information in both print format and online. We produce the ‘Understanding Pancreatic Cancer’ series that consists of five booklets on understanding different aspects of pancreatic cancer, booklets on pancreatic cysts and eating after a duodenal stent. Most recently we produced a recipe book for patients which features over 80 quick, easy and energy dense recipes for nourishing meals and snacks. These can be ordered free of charge to addresses in the UK and can be viewed online. We also provide information on our website about pancreatic cancer symptoms, diagnosis, treatment options and diet and nutrition. All of our health information is produced under the Information Standard certified scheme. The information we provide is reviewed by medical professionals and people who have been affected by pancreatic cancer.